British tourists heading for Mediterranean hotspots could be at risk from tropical diseases that are moving north from Africa, scientists are warning. Climate change means Mediterranean Europe harbours disease-carrying insects such as the tiger mosquito and is ‘now a part-time tropical region’, the scientists will tell a conference today. The past decade has seen isolated outbreaks of dengue fever in France and Croatia, chikungunya virus in Italy and France, and malaria in Greece. But experts say as temperatures slowly rise, these outbreaks could become more common. 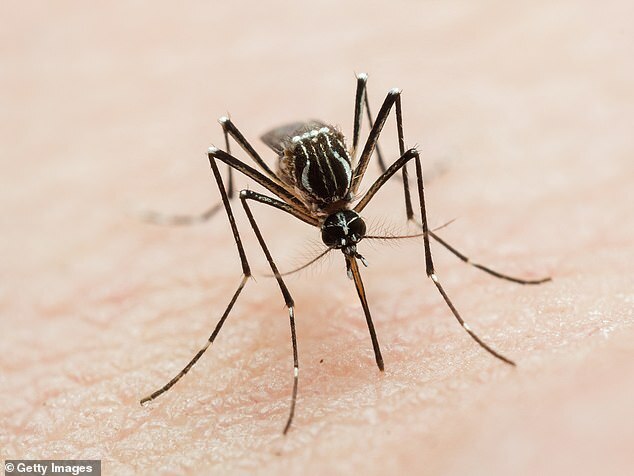 Dengue and chikungunya have been largely confined to tropical and sub-tropical regions because freezing weather kills the eggs of the tiger mosquito, which carries the viruses that cause them. But global warming is letting the insect penetrate further north, and it could even move into southern Britain, say scientists attending the European Congress of Clinical Microbiology and Infectious Diseases in Amsterdam. Ticks which carry Lyme disease and tick-borne encephalitis (TBE) are advancing north too, in part due to rising temperatures, said Professor Jan Semenza of the European Centre For Disease Prevention And Control in Stockholm. In the last 30 years there has been a 400 per cent rise in TBE cases in Europe, with 65,000 a year now reported.